Anyone desperately trying to convince their IT department that the iPhone is a genuine business class smartphone has just had their argument substantially strengthened today. Bringing joy to millions (4m approximately) this week is HyperOffice which has released a version of its secure Exchange substitute software for Apple’s favourite device. 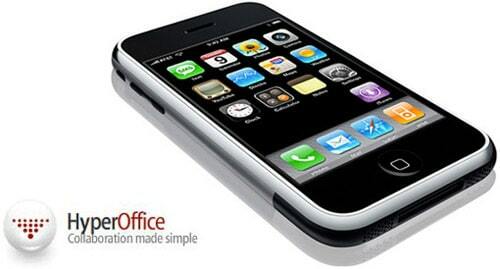 The wonderfully literal ‘HyperOffice for iPhone‘ is designed as a work around for the firewalls which stop the handset connecting to Microsoft Exchange servers directly and for the IT departments who (rightly) claim Mobile Safari isn’t a secure enough alternative. 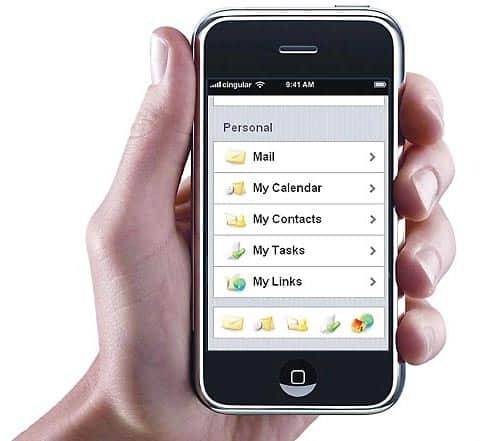 Instead users download an application called ‘HyperShare’ which migrates Outlook contacts, calendars and email folders then delivers email to the iPhone’s native email application with support for folders, attachments, documents and tasks. All replies and new messages are also relayed back to Outlook or to the corporate Exchange server. Particularly cool is that HyperOffice works as webware, meaning it requires no IT overhead or firewall modification and no software needs to be installed on a corporate network.